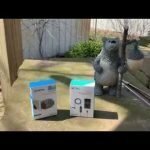 Home Gadgets & Outdoor Gear Will the Amazfit Bip Amaze Me Like the Pebble Time? 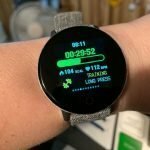 Will the Amazfit Bip Amaze Me Like the Pebble Time? As you can probably tell from this site, I’ve reviewed a lot of watches. I’ve reviewed expensive ones, those in the mid-range, and el cheapos but which one is my all-time favorite? 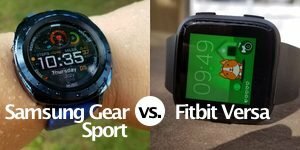 For fitness activities it’s the Garmin Fenix 5s (see on Amazon) without a doubt but for my daily sidekick on my wrist, it’s still the Pebble Time. 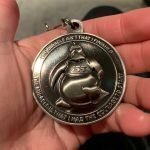 UPDATE: Hey! 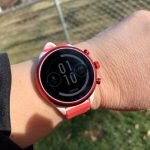 I got the Amazfit Bip and you got read my initial thoughts of it here. 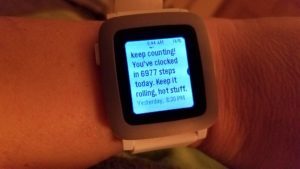 What is it about the Pebble Time that I like so much? It has character. 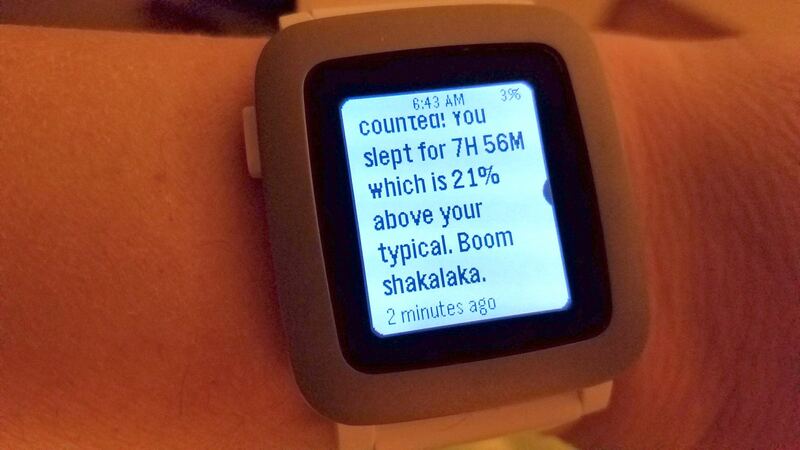 I get a kick at some of the messages it gives me about how many steps I took on any given day or how long I slept. I enjoy the little animations that breathe life into it when I dismiss a notification. 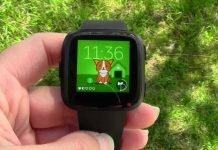 It’s what a smartwatch should be in my opinion – an assistant, a buddy and one with a personality. 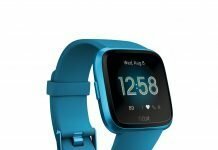 There still isn’t any watch out there that I know of that truly compares to the Pebble Time experience but I’m hoping the Amazfit Bip can fill the niche left unfilled when Fitbit, after purchasing Pebble, pulled the plug on the Pebble brand….which I think was stupid. There I said it. Fitbit, you’re being stupid. 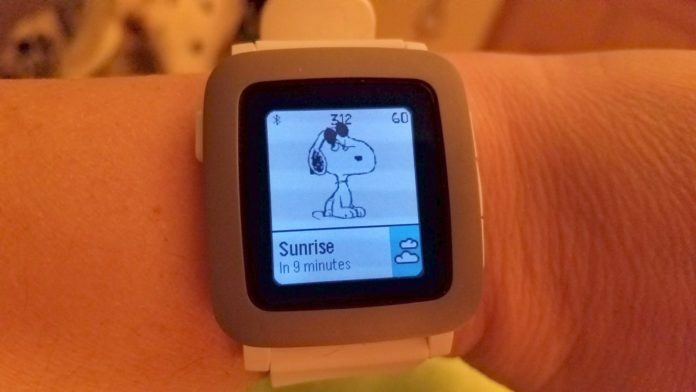 However, you can still get a Pebble Time while they last on Amazon and elsewhere. 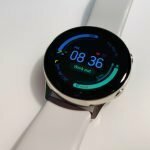 The international version of the Amazfit Bip is available on Amazon as I write this but pre-orders are available from the Amazfit website where more color options are available to choose from. Did I mention it was under $100? I should also mention that the Amazfit Bip looks similar to the Apple Watch which I’m sure is no coincidence. Being that the Apple Watch is the most popular smartwatch by far, designing a watch that will draw away some of Apple’s customer base is a smart idea. The price certainly undercuts the Apple Watch. Of course, it doesn’t have all the same features but it has the ones that are most commonly used and that battery life! Apple can’t come close to 30 days. 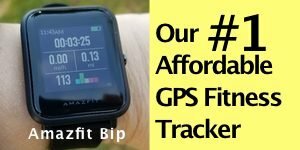 The white version of the Bip also reminds me of my white Pebble Time, so I think they’re trying to tap into my crowd too. Another smart move. 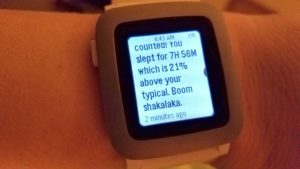 Sleep tracking message – Pebble Time. Boomshakalaka! 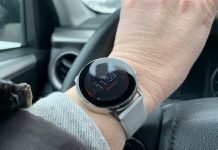 Well, in a few days I’ll have an Amazfit Bip to review. I’ll test out its heart rate sensor, GPS, step accuracy, battery life, and overall user experience. I hope it’s a watch that I’ll enjoy having as a new sidekick, especially when my Pebble finally gives up the ghost which I’m sure will be done in a cute animated fashion.